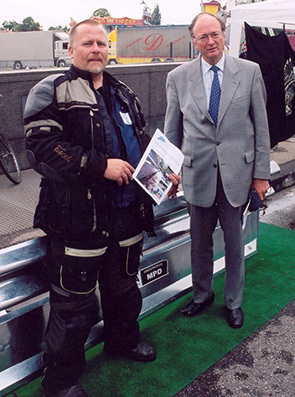 Right To Ride has received a response from Malcolm Harbour MEP who chairs the Internal Market and Consumer Protection Committee (IMCO) which is looking at and leading discussions on the EU Regulation proposal for the approval and market surveillance of two- or three-wheel vehicles and quadricycles. Malcolm has written to all the stakeholders regarding the various areas of concerns raised which could see, through the regulation of emissions and the safety of motorcycles, stricter anti-tampering regulations for new motorcycles. If you have been following our reporting of the proposals you will know that an MEP from the IMCO – Wim van de Camp – has been acting as the Rapporteur (looking after the proposals) within the committee. Mr Wim van de Camp as we previously reported has presented a report to the IMCO and has now made public his draft report of May 6th (Click Here – pdf 379kb) which consists of a series of initial Amendments to the Commission’s proposal. We will be reporting on this shortly but a quick scan through the document reveals that perhaps that the EU Commission has been curtailed in their wish to adopt the contents and amend them without requiring Parliament’s approval. However, according to Malcolm Harbour, the initial amendments are as they say – initial – and other members of the ICMO including himself are able to then also table their own amendments based on feedback received from interested citizens and stakeholder organisations. This is something which we at Right To Ride intend to do. However as with all aspects of expertise and life itself, there are different opinions and views on what and how things should be done, one man’s expert is another’s nemesis. Although we do seem to be heading to some sense and sensibility for amendments to the proposal. But – only time will tell. Below is the communication from Mr Harbour on the issues that have been raised and although we would still disagree on some of the response, for example the reasons having mandatory headlights, but we welcome Mr Harbour’s suggestion of looking into an amendment to ensure bikes feature a control switch enabling the rider to switch the headlight off. There has been some sense on random road side spot checks. As Mr Harbour points out, a proposal on random spot checks is not included in the Commission proposal. 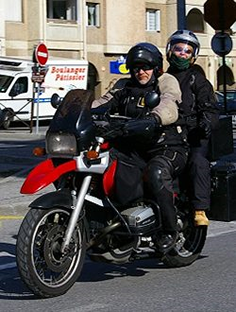 On Mandatory on board diagnostic equipment (OBD) Mr Harbour comments that the intention of OBD is not to affect the motorcycle’s behaviour, but to provide the rider with information that there is a malfunction in the form of a warning light, adding that a limp home function might be welcome. Mr Harbour’s proposal would be that it activates only once the motorcycle has been brought to a standstill. Last but not least, Mandatory ABS which is back to the issue of a switch enabling riders to disengage ABS in certain driving conditions such as driving on loose gravel. However, we have consistently stated that if an on/off button for ABS is presently permitted by EU legislation and if in the present text of the new proposal there is no mention of prohibiting an on/off switch – AND – the EU Commission has no intention to prohibit it, then drawing attention to a feature that nobody had the intention to prohibit, may actually lead EU politicians to propose to ban the on/off button. (It is unfortunate that we have to once again highlight this – but it’s only because everybody else keeps mentioning it). We believe that this option (the switch) should be market driven, especially for those motorcycles that have an off road or an adventure style aspect to their capabilities. It is already the case that motorcycle manufacturers are fitting ABS as well as traction control systems on high powered motorcycles, and this follows consumer demand. There is strong political pressure to get the balance of interests right between riders, the industry, and safety, while not losing sight of improvements to motorcycle emissions. The overall cost benefit of ABS is stacked in favour of mandatory ABS for higher powered motorcycles. However a number of stakeholders have been arguing for an ABS switch enabling riders to disengage ABS in certain driving conditions such as driving on loose gravel. This concern is almost exclusively relevant for dual use rides (off and on-road). Please note that Enduro and Trial motorcycles will have a separate category (L3e) under the revised rules without mandatory ABS. Anti-tampering measures are intended to stop alterations to the vehicle’s power for safety purposes or to meet environmental performance requirements. These are currently limited to mopeds and motorcycles under 125cc producing less than 11kW. However, the Commission proposes to extend cover to all vehicles within the scope of the draft law. The Committee will be taking a close look at this proposal because the associated costs and benefits have not been covered in the Commission’s Impact Assessment. I agree that these relative merits first require proper justification. The likely manner in which we will achieve this is by introducing an obligation on the Commission to undertake further cost benefit assessments, on a case-by-case basis, before any specific anti-tampering technical measures are proposed. We will also be considering the extent to which the Commission’s anti-tampering proposals may restrict after market part manufacturer’s ability to sell their products because of potential difficulties they may have in getting their products type approved, particularly if produced in small volumes. I would like to assure you that in any case, the European Parliament retains a right of scrutiny over any such future measures. Regular random spot checks at roadside. A proposal on random spot checks is not included in the Commission proposal. The Rapporteur called for road side spot checks as a political statement in his working document to encourage EU police forces to enforce the legislation and act against the youngsters which do tamper with their rides in a way which clearly compromises vehicle safety. The concerns expressed about this are invariably from serious and experienced bikers that clearly do not tamper illegally with their rides and should really not be concerned about this statement. The police would clearly not be targeting obviously experienced and well equipped riders. Moreover, the Rapporteur is not intending to table an amendment modifying an article of the proposal to include reference to road side spot checks as this is not related to the subject matter of the proposal. Mr Harbour has noted the concern that, in certain specific circumstances, there may be safety grounds for switching a motorcycle’s headlight off, such as when the sun is behind the rider and the headlight may blend into a bright background. However, when the sun is behind a rider with his headlight on (or he is followed by other vehicles which also have their headlights on), he is not convinced that there is clear evidence to support that the motorcycle is less visible to other road users than if he had his headlight off and would say that this rather depends on the precise colour and intensity of the bright background (the sun’s colour and intensity varies, as do other vehicles’ headlights in size, colour, and glare). If the blending is not very close, Mr Harbour tends to think that the rider would be more visible with his headlight on. Furthermore, we are talking about one particular riding direction (away from a bright background), which further limits the circumstances in which having the headlight on may be a problem. Mr Harbour believes that the benefits outweigh the drawbacks of this safety provision, which would furthermore be very difficult to argue against with the Commission for the reasons explained above. However, given the concerns expressed, Mr Harbour will look into an amendment to ensure bikes feature a control switch enabling the rider to switch the headlight off, notwithstanding that they should come on automatically on vehicle ignition. The intention of OBD is not to affect the motorcycle’s behaviour, but to provide the rider with information that there is a malfunction in the form of a warning light. Mr Harbour thinks this could be developed into OBD systems which provide more detail on the type and severity of the malfunction, but he will position himself against any limp-home functions that may activate unexpectedly while riding. If the malfunction is so serious that the motorcycle runs a real and imminent risk of being seriously damaged, compromising rider security in the process, a limp home function might be welcome, but Mr Harbour’s proposal would be that it activates only once the motorcycle has been brought to a standstill. Small series and individual vehicle approval. The Rapporteur’s preliminary intention is also to bring down the limit of the exemption from the Regulation for small series productions from the current 200 vehicles. But he does not intend to do so as radically as the Commission has proposed. In particular, the Rapporteur intends to propose, for category L1Ae, a limit down from 200 to 100 or 50 units, and not 20 units as the Commission intends. Mr Harbour thinks we can probably strike a compromise here which will have a minimum effect on the activities of new entrants to the market. Codecision – The European Council will also have an equal input to the Parliament’s input on the Commission’s proposal, and the Regulation will need agreement by the Governments of the Member States represented in the Council before it becomes EU law. This Commission proposal is currently before the European Parliament in 1st reading with the Internal Market and Consumer Protection (IMCO) Committee, of which Malcolm Harbour is Chair and leads on the discussions. The Committee vote is scheduled for 15th June with adoption by the Parliament expected in September. Since writing the above, Trevor and I have had a look at the IMCO Draft report of EU Regulation on the approval and market surveillance of two- or three-wheel vehicles etc issued 6th May. 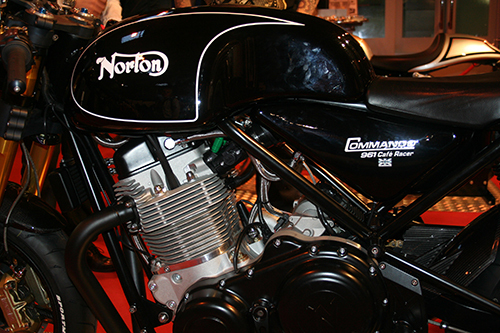 In summary – it is not just about regulations for motorcycles. We had picked up a while back that everybody had been bamboozled because nobody really understood the inference throughout the Commission’s proposal to delegated acts and infact we wrote a lot about this and the regulations on L category vehicles. Delegated acts are an entirely new world, notably with the abolition of Comitology Committees. However as we have been reading through the IMCO draft report, we have recognised that the issues surrounding safety and environment are relevant – but only up to a point. which amends the Commission’s proposal “1. The powers to adopt the delegated acts referred to in Articles 16, 18, 19, 20, 21,22, 30, 52, 56, 57, 60, 66 and 75 shall be conferred on the Commission for an indeterminate period of time”. and so forth. Our personal view is that very few people understand the implications of what seems to be a “test case” which surrounds the proposals put forward by the Commission. To summarize: An amendment is included in the Draft Report that allows that Parliament to strip the Commission of its delegated powers. That “get out” clause indicates that we might as well pack up and go home, because the European Parliament will almost certainly vote in favour of the Commission’s proposal (with some minor amendments) because of the “safety” and environmental aspects of the proposal. If anybody has the time or inclination to read through the rapporteur’s amendments, they will see that mandatory ABS,AHO,OBD have all been accepted with some minor alterations, Euro 3 has been deleted from the timetable and the introduction of the regulations has been moved back a year. The jury is still out regarding anti-tampering – but that’s only because the Commission has contracted TRL to do a study to see if it is a problem! (although the IMCO may argue that there is a cost implication and because of the anti-tampering implications restricting the aftermarket manufacturers). 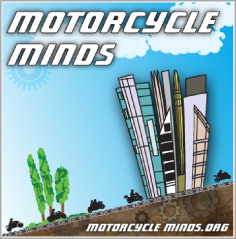 Thanks to NIEUNEWSMOTOR a motorcycle news website from the Netherlands for pointing us to their article regarding what appears to be a mix up in Wim van de Camps report. It would appear that specifications for Enduro and Trials motorcycles have been mixed up. i.e. trials motorcycles have the Eduro specifications and vice versa. Considering that these motorcycles are being classed as a new catergory, then this is big mistake even in the grand scheme of the regulations for all motorcyclists.